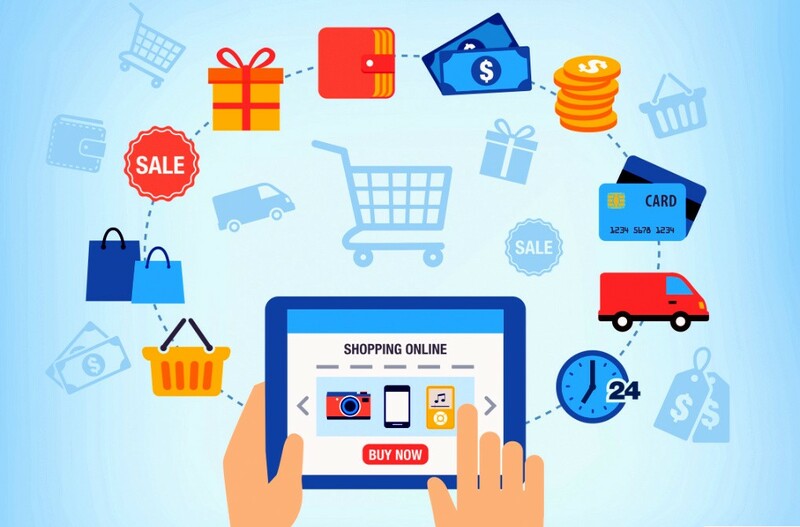 E-Commerce or Electronic Commerce refers to the sale and purchase of goods and services or facilitation of trade through computer networks or electronic channels such as online social networks and the internet. E-Commerce was conceived in the 1960’s through an Electronic Data Interchange (EDI) introduced on Value-added networks (VANs). The medium has since grown with the arrival of popular online sellers in the 1990s through 2000s and increased availability of internet access. The famous Amazon commenced operations as a book shipping business in 1995 in Jeff Bezos's garage. EBay, a platform that allows consumers to sell to each other online, began online auctions in 1995 and went mainstream thanks to the 1997 Beanie Babies frenzy (Arline, 2015). Electric commerce allows consumers to exchange goods and services electronically without barriers of distance or time. E-commerce has rapidly expanded over the last five years and is expected to continue at this rate or even accelerate. Soon enough, the boundaries existing between “conventional” and “electronic” commerce will become substantially blurred as more businesses are moving huge portions of their operations onto the Internet. As a matter of fact, e-commerce is one of the most pertinent aspects of the internet to emerge. It covers a range of various types of businesses, from business exchanges involving trading goods and services between corporations, through music sites and auctions to consumer based retail sites ("What is Ecommerce? ", 2014). This paper will discuss the most significant trends that face e-commerce and a major challenge or market opportunity that it faces. Just like any other consumer-based purchasing market or digital technology, e-commerce has slowly evolved over the years. Mobile commerce has grown rapidly to become its own market as mobile devices became more and more popular. Social media has also become a vital driver of e-commerce with the rise of interactive sites like Pinterest, Facebook, and Twitter among others. According to Paymill, Facebook had driven 85 percent of social media-originating sales on Shopify (an e-commerce platform) as of 2014. 2014 was a year of milestones for electronic commerce since worldwide sales hit a very high record of $1.3 trillion. Alibaba even claimed the title for the largest global IPO ever. According to Cisco, videos will account for 69 percent of consumer Internet traffic by 2017. Videos are a perfect way to deliver high-quality content, and they also benefit e-commerce by driving conversions and leading to higher average orders. Last year the focus was specifically on mobile videos. In 2014, 25 percent of all e-commerce video plays came from mobile devices, up from 2013’s 19 percent. As of 2015, the shift towards videos was already generating a high return on investment (ROI) for the advertising industry, particularly among consumer packaged goods brands. As shoppers seek responsive layouts and grow more responsive to visual presentation, videos will become a significant asset to facilitate improved webrooming and convey product details, not just demos. As mobile become the prevalent platform for online shopping, e-commerce retailers who know the benefits of videos will focus more on exploiting it across multiple channels (Verleur, 2015). Apple launched its brick-and-mortar payments system in 2014 to much fanfare. Although Apple pay has been known to be strictly an in-store payment solution, there has been a speculation that it could be availed for e-commerce merchants. Apple has already started partnering with online service providers like Uber, Lyft, and Airbnb. If Apple pay were to fully enter the e-commerce space at scale, it would be a game changer for the industry. This means a lot to e-commerce merchants as it; reduces costs like fees for credit card processing, takes advantage of the potential opportunity to team up with Apple for marketing promotions and facilitates easier payments. Studies show that 66 percent of the time that is spent on e-commerce sites is typically done across mobile devices. Moreover, 61percent of customers or users leave a site if it’s not mobile friendly. However, the rate of change in response is enormous. This explains why optimizing the user experience for tablets and smartphones (multiple devices with different screens) is more of a priority now. Responsive design option is prepared to grow rapidly. The benefits include higher conversion rates, improved customer satisfaction and increased site traffic. Coupling content and commerce creates vibrant lifestyle-oriented destinations that keep shoppers coming back. It also doubles as a tool for branding and SEO. Birchbox is a good example of an e-commerce site that successfully creates high-quality content to generate repeat business. Etsy is also another excellent platform that combines content and commerce for the same objective by featuring DIY projects and profiling artists while using social media platforms for promotions. The power of web enablement in business is that geographical boundaries disappear for an enterprise. Therefore, an e-commerce initiative can easily turn out to be a global e-commerce initiative. Nonetheless, before conducting global E-business, web-enabled businesses must take into consideration an array of international economic, social, legal issues, and technological issues. The economic dimension, for instance, covers the cost justification of projects or the high cost of developing an electronic commerce system, number of sellers and buyers to access via the internet, the question of skill shortage and issues to do with infrastructure upgrade (Bingi, Mir, & Khamalah, 2000). Developing countries like Kenya are also significantly affected by the economic crisis that hits developed countries like the United States among other economic giants that boost the global economy. The cost of internet connectivity in Kenya (which is a fast-growing economy) among other third world countries is not affordable to everyone which discourages penetration of internet beyond urban areas (Kinuthia & Akinnusi, 2014).